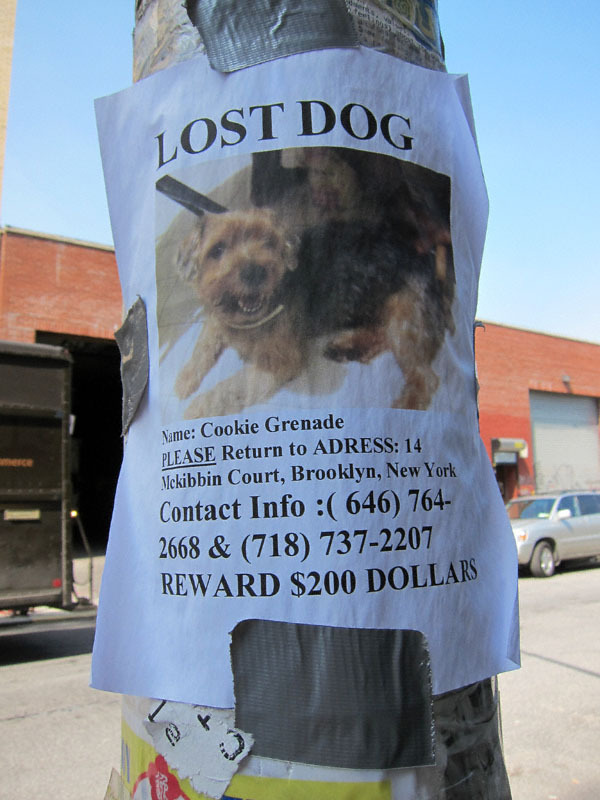 FYI, cookie has been found…that’s actually my landlord’s dog…it was lost for 4 days…they were very happy to have it back! Glad to hear it!!! “Cookie Grenade” is an awesome name. What, may I ask, inspired them to name him/her this? I *MUST* know!